Since 1878 the Oddero family has been synonymous with tradition and high quality Nebbiolo wines from the Langhe’s top vineyards, and it was in 1951 when brothers Giacomo and Luigi Oddero began bottling their family’s wines. In 2006, after fifty years of passionately tending the vine and making the wine (while Giacomo was ‘front of house’), Luigi was obliged to leave the family domaine in La Morra and create his own label. He took with him his wife Lena, their young children Giovanni and Maria, as well as 32 hectare of prime vineyards. 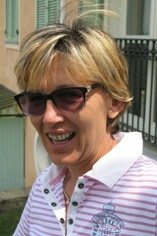 With Luigi’s loss in 2009, Lena Oddero is now managing the estate, aided by her faithful team of Gregorio (winemaker) and Alberto Zaccarelli (sales). Dante Scaglione, former winemaker at Bruno Giacosa, now consults. The wines are traditionally and respectfully made, aged in large Gamba oak botte, and the product of fruit grown in the villages of Barbaresco, La Morra, Castiglione Falletto and Serralunga d’Alba. More in the blog and video interview with Lena Oddero in her Rocche dei Rivera vineyard vineyard.